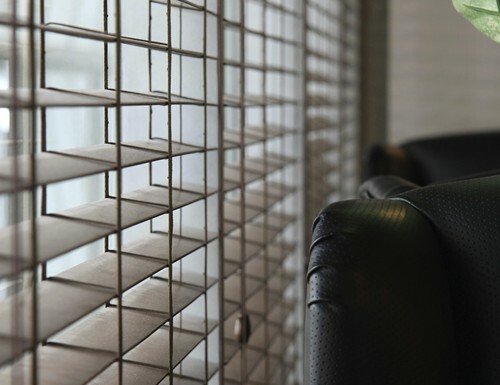 The Cordless 2" wood blinds for windows lift with ease by raising or pulling on the bottom rail. The tilt is operated with a wand so there are no dangerous cords making these cordless wooden blinds pet and child friendly. W: 18" 19" 20" 21" 22" 23" 24" 25" 26" 27" 28" 29" 30" 31" 32" 33" 34" 35" 36" 37" 38" 39" 40" 41" 42" 43" 44" 45" 46" 47" 48" 49" 50" 51" 52" 53" 54" 55" 56" 57" 58" 59" 60" 61" 62" 63" 64" 65" 66" 67" 68" 69" 70" 71" 72" 73" 74" 75" 76" 77" 78" 79" 0/0"1/8"1/4"3/8"1/2"5/8"3/4"7/8" H: 12" 13" 14" 15" 16" 17" 18" 19" 20" 21" 22" 23" 24" 25" 26" 27" 28" 29" 30" 31" 32" 33" 34" 35" 36" 37" 38" 39" 40" 41" 42" 43" 44" 45" 46" 47" 48" 49" 50" 51" 52" 53" 54" 55" 56" 57" 58" 59" 60" 61" 62" 63" 64" 65" 66" 67" 68" 69" 70" 71" 72" 0/0"1/8"1/4"3/8"1/2"5/8"3/4"7/8"
Love these blinds! So great for my kids’ room with no cords. Perfect for our home office. Perfect for our home office. Well made and sized to the exact centimeter. Thank you. I absolutely love my purchase. I absolutely love my purchase. The blondes are exactly what I was looking for. I love that there is no cord hanging which means I don't have to worry about my children. The blinds are well-made and high quality. I would definitely recommend.